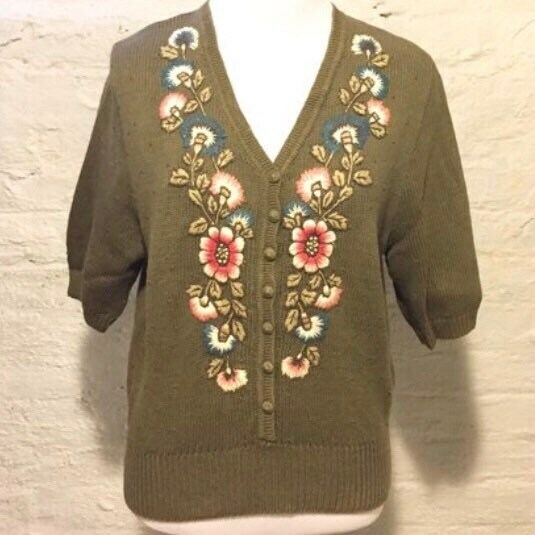 Vintage 1970s Evan-Picone brand embroidered floral sweater. Olive green with floral motif. 3/4 length sleeves.